8 *Amazing* Beauty Products Perfect For Your Rakhi Wishlist! Raksha Bandhan is an exciting time if you have siblings. It’s the perfect time to ask your brother for those cult beauty favorites you’ve been eyeing. If you’re not sure where to ask for, here’s a list of 8 splurge-worthy beauty products that are actually worth the hype! The Beauty Blender is an egg shaped sponge used to blend your foundation. 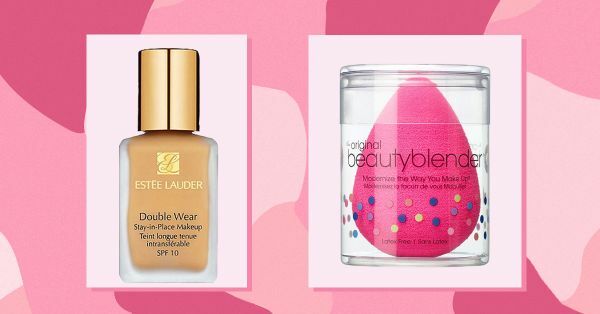 Any beauty enthusiast will tell you that the beauty blender needs to be a staple in your makeup kit. This magical sponge will change the way you apply your makeup. Just make sure to keep it clean and dry to avoid skin troubles. If you want a flawless long lasting base to help get you through extreme weather, invest in a good foundation. Choose one that’s matte and long wearing if your days are long & nights longer. The Estee Lauder Double claims to be a 24 hour foundation. It comes in a whole range of shades & stays put all day and almost all night too! If you’re in your early 20’s now would be a good time to start taking care of your skin. A good Anti-Aging serum will keep those fine lines and wrinkles at bay. The secret to a youthful glow when you’re older is an early start. This lightweight serum by Olay should be the first step in your skincare routine after you wash your face. For all those of you who believe less is more, a good liner should be on the top of your must haves list. Look for a long-wearing, multi-tasking product to get you through the weddings and the rain. This Bobbi Brown Gel Eyeliner is an absolute must have! You can use it on your waterline as kohl and on your eyes as a liner to create those gorgeous cat eyes. Sheet masks are a quick and easy way to hydrate your skin even while you’re on the go. Perfect for those lazy Sunday afternoons to pamper yourself in bed or while you’re on vacation. You could even use a sheet mask on a long haul flight! The Face Shop sheet masks address a whole range of skin concerns, choose one that’s best for your skin type. As a generation addicted to technology, we’re all guilty of having erratic sleep schedules. Invest in a good concealer to help you fake a good night's’ sleep! We love how creamy and easy to blend this M.A.C Pro Longwear concealer is. If a concealer is all the makeup you’re going to wear - we recommend looking for one that matches your skin tone exactly. A shade lighter works best when you would be wearing foundation. A quality brush set is essential for that flawless base. Transform your makeup game with a set of multi tasking face brushes. These brushes by Real Techniques are made from the highest quality synthetic brushes that will last you forever. The set has every brush required to ensure you have the right tools for every occasion. No makeup kit is complete without a blinding highlight! For that lit from within glow, a good highlighter goes a long way. Look for a highlighter with more sheen and less shimmer. In this palette by theBalm you have a highlight, blush and bronzer all in one! Use it to highlight the inner corner of your eyes, your cheekbones, nose and forehead. Moderation is key here though, we don’t want to look like a grease ball! So what'll you ask for this rakhi?